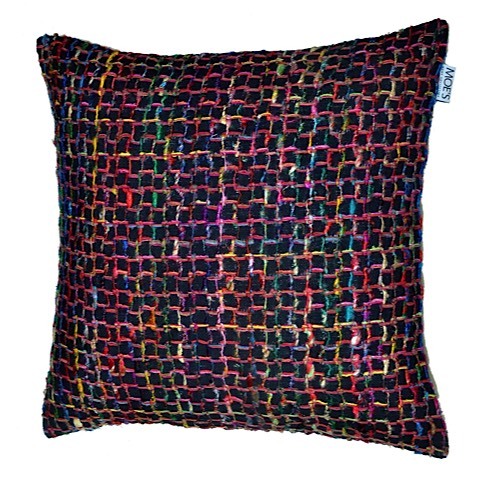 The Chain Pillow features brilliant coloured chains on a black background. 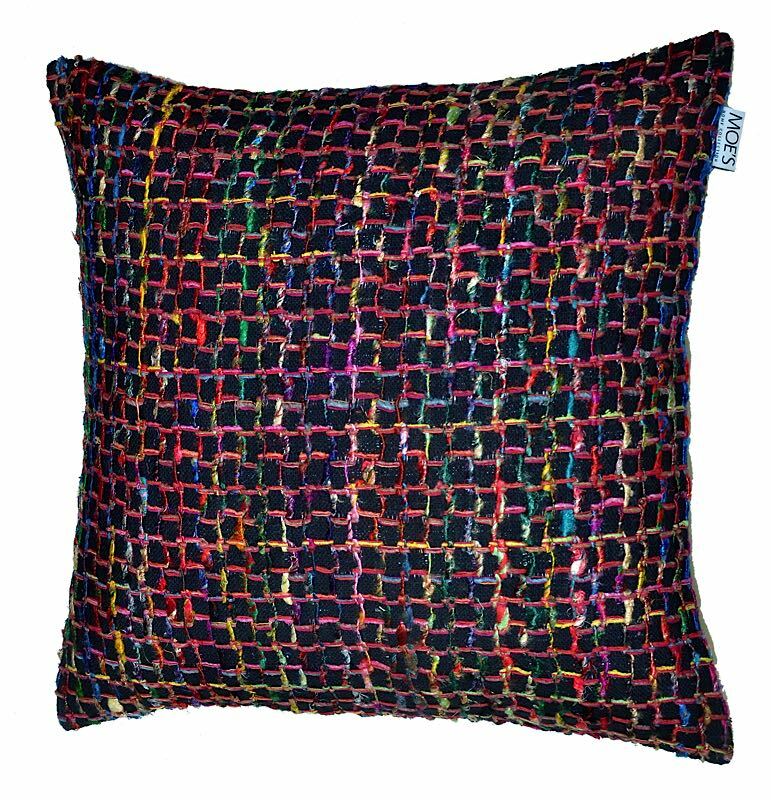 In addition to the vibrant colors, the pillow has lots of texture that will accent your modern interior. Crafted with a 50% cotton/50% viscose cover and stuffed with a 100% feather insert. The back of the pillow is 100% cotton. This substantial pillow is a 23.5" square. Made in India.